You’re a good person. You provide eats for the squirrels who’re squatting in your backyard free of charge. But what do those rodents do for YOU? 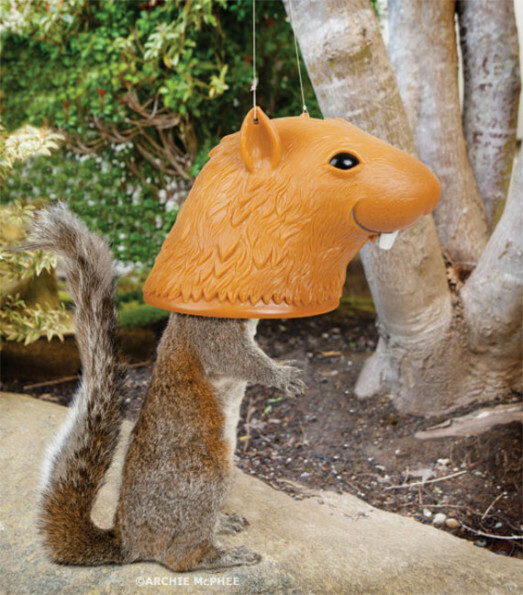 Enter the Big Head Squirrel Feeder, perfect for some good, clean, quality LOLs at their expense. The endless entertainment this thing will provide will be well worth the cost of the feed and the trouble you went through to actually purchase and hang the damn thing. It basically pays for itself! I mean… if you live in a world where the currency is giggles. Which I do. Teeheehee! See? That was like the equivalent to, like, 50 cents.